Status: Eliminated by Deborah Ann Woll, Round 3! 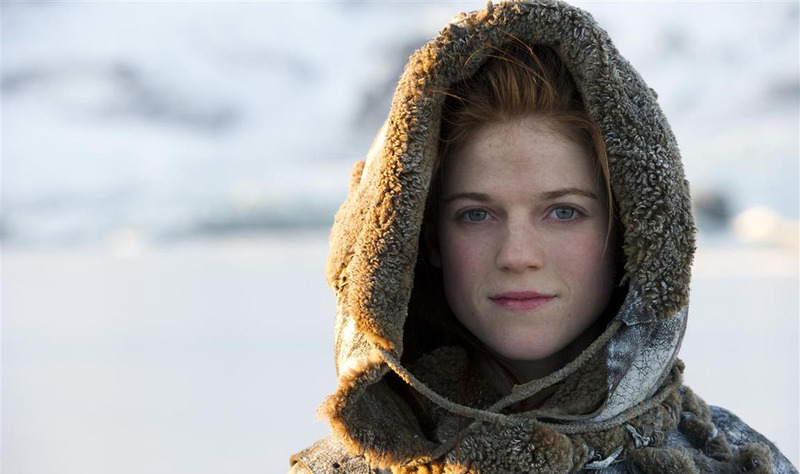 Rose Leslie is an actress who plays the wildling Ygritte on HBO’s Game of Thrones based on the books by George R.R. Martin. However, others may know her as the service maid who wanted to be a secretary on the BBC’s Downton Abbey. With so few major acting credits to her name, Rose’s talent is certainly shining through and she is fortunate to already have played major roles in two hit television shows. Rose has four other siblings and grew up in Lickleyhead Castle, a 15th century castle. Her father is the Aberdeenshire chieftain of Clan Leslie, and owns a 12th century castle in Aberdeen as well. She received her training at the London Academy of Music and Dramatic Arts and can be seen on the big screen in the recent film, Now Is Good. Check out her interview with George Stroumboulopoulos! Rose Leslie as Ygritte on HBO’s Game of Thrones.